Transit Cases – Royal Case Company, Inc. Among the essential functions of transit cases are protection from shock and vibration as well as from elements such as moisture, salt spray, dust and water immersion, since rugged environmental conditions in various military, business and civilian travels are likely. Transit cases are fabricated from plastics like fiberglass reinforced thermoset, fiberglass reinforced polyester (FRP), carbon fiber, rotationally molded polyethylene or linear low density polyethylene (LLDPE) with hinges and hardware made out of either the same material or from a different material such as aluminum. Many transit cases are reinforced along seams and edges with aluminum extrusions; nearly all cases contain custom-cut foam inserts to protect contents from jarring and vibration. These types of cases are also available with complete waterproof seals. When modern explorers, journalists, photographers, industrial manufacturers, scientists and medical personnel travel in demanding environments, it is essential that their sensitive equipment is kept working properly. Transit cases are manufactured to transport electronic modules, computer components, laptops, satellites, scientific equipment, photo equipment, sensitive military equipment and many other parts and equipment which require sensitive handling. Transit cases were originally designed for military operations and transport because the military frequently transports highly sensitive technical equipment into dusty or wet locations. They are still widely used by militaries around the world. Another common category of transit cases is the rackmount transit case. This case is usually paneled with FRP and reinforced with extruded aluminum and aluminum or steel hardware. Rackmount cases are unique in design in that they do not usually require foam inserts; instead, interiors are equipped with elastomeric shock mounts attached to an internal frame of aluminum channels. This interior aluminum frame holds equipment secure, while the frame’s shock mounts protect the frame and equipment by absorbing the energy from vibrations caused by bumps, jarring motions and other similar movements. As with typical foam-filled rotomolded transit cases, rackmount transit cases are impervious to water, moisture, dust and dirt and may protect equipment as sensitive as multi-million dollar satellites. The fabrication methods used to produce a transit case have an effect on the performance of the final product in terms of strength, shock absorption and fracture resistance. Some materials have a better strength-to-weight ratio while others shield from electromagnetic interference or can withstand higher levels of pressure. Transit Cases Transit cases are extremely durable carrying cases that are used to transport sensitive electronic, scientific or military equipment across rough terrains or through difficult conditions. 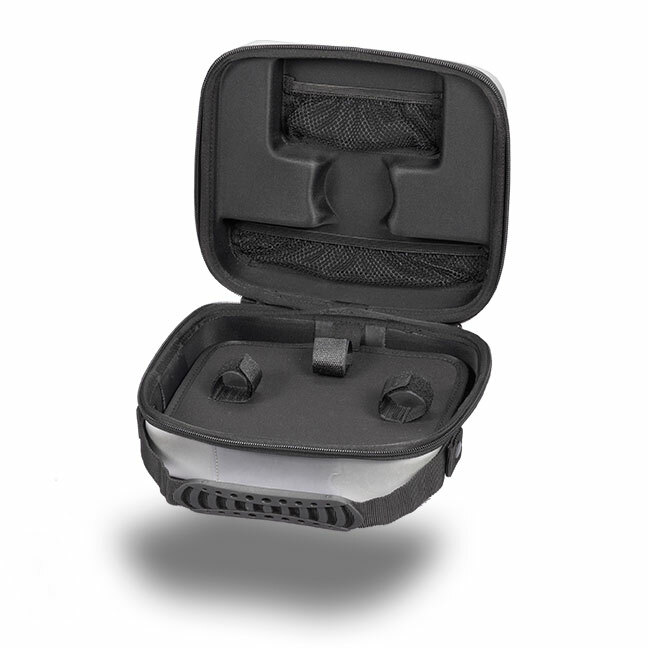 Transit cases come in a wide variety of standard and custom configurations and are recognized by their hard, waterproof outer shell and their shock-absorbing interiors. These heavy duty cases may have a handle or shoulder strap for carrying.